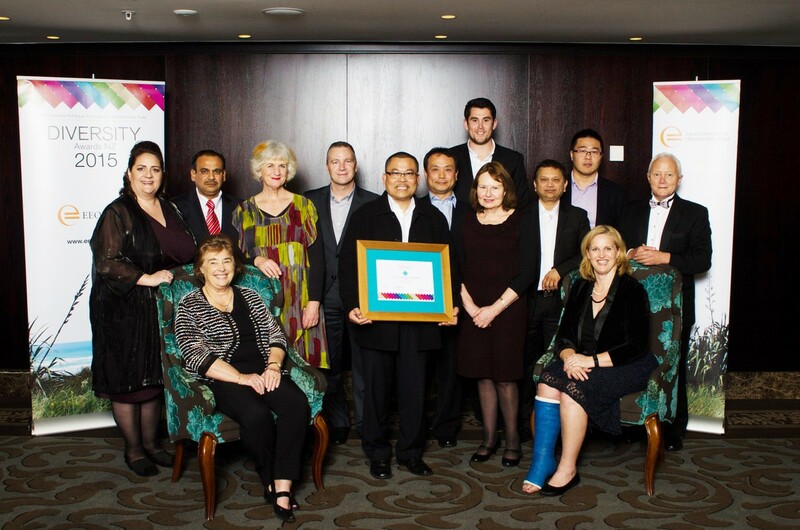 At the EEO (Equal Employment Opportunities) Trust Diversity dinner on August 26th, Literacy Waitakere’s workplace programme at ETEL was awarded Highly Commended in the Skills Highway division. ETEL Limited is a long established pioneering New Zealand business that specialises in the design and manufacture of distribution transformers. ETEL has grown continuously over the past decade, with the number of employees increasing from 60 to 210. Selecting a competent workforce for this niche industry has been a challenge for the organisation as they recruit to meet the demands of an increased workload. ETEL’s presence is firmly established in Australia, NZ and the Pacific region with facilities in Auckland and Melbourne. Excellent communication between departments is essential to ensure that ETEL continue to produce quality products. The organisation needs to be confident that technical product information is understood by workers, and accurately interpreted and communicated throughout the business. As employees at ETEL represent over ten different ethnicities, staff communication can sometimes be a challenge. After an initial assessment of factory employees, senior management recognised a need to improve the level of language and numerical comprehension. Working with Literacy Waitakere, ETEL initiated a Language, Literacy and Numeracy programme which has been running for the last three years and over 110 employees have successfully participated. In 2015 the course has been adapted to develop members of staff who show promise in obtaining future key positions in the company. There are now three distinct streams. The first stream is for managers with English as a second language, whose key outcome is to hold meetings with their staff confidently; the second stream is for high potential factory supervisors with English as a second language whose key outcome is to receive and give clear instructions; and the third stream is for night shift workers recognised as determined hard workers, whose key outcome is to improve their English pronunciation. ETEL is committed to developing a sustainable workforce and the literacy skills that are seen as essential to on-going organisational growth, as well as personal growth. A fundamental aspect to working at ETEL is adhering to health and safety requirements and procedures. Before the Literacy programme was initiated, Managers raised a concern that the health and safety procedural handbooks given to staff when they were first inducted into ETEL were too complex for many workers to understand. As part of their work with Literacy Waitakere, ETEL handbooks have been adapted into simple language so all staff can clearly understand what their health and safety obligations are and how they should behave as employees. The Literacy programme has also assisted in increasing understanding of these obligations, meaning that ETEL’s safe working ethic remains intact. Alongside their literacy programme, ETEL identified a need for communication to be improved throughout all levels of the organisation so that opportunities for improvement can be identified and acted upon. In 2014 a communication group was formed with a range of staff from different departments. One of the key outcomes of this group was to instate an OFI (opportunity for improvement) system, namely a mechanism for any staff member to submit a form to senior management outlining an idea, change or piece of plant equipment that would add value or benefit the staff and the company. Within the first 12 months, 250 OFIs were submitted, enabling feedback from staff to contribute to the on-going success and growth of the company. As the company grows, ETEL’s employees grow with it. The literacy and numeracy programme, as well as the OFI system, has improved staff interaction and communication between departments, and structured information pathways are more effective. It has also improved the way in which individuals carry out their roles. “People are more confident in their jobs when they clearly understand the instructions they are receiving,” states Project Coordinator Ashley McLean. The business benefits of the programme are manifold; absenteeism has decreased, health and safety compliance has increased, incident and accident reporting has increased, understanding of verbal and written instructions has improved and production efficiency has improved overall. Senior management’s understanding of employee development has also changed as further opportunities for upskilling have been requested by staff. Numeracy, computer literacy and language training will be offered as part of ETEL’s sustainability plan. ETEL has also made a commitment to have literacy and numeracy training for all new employees, as well as for targeted employees who are seen as critical to the future success and growth of the organisation.